We set an exciting challenge for our experts, to put together the most creative, unique and fun vacation package, but with a twist... Instead of just using Flightfox, we asked them to use two other people-powered travel resources: Airbnb and Vayable. To entice our experts to get their creative hats on we decided to award not only the winning entry $500 but 2nd prize $250 and 3rd prize $100. This got our experts working hard. We were so thrilled with the outcome but judging the winners was no easy feat. 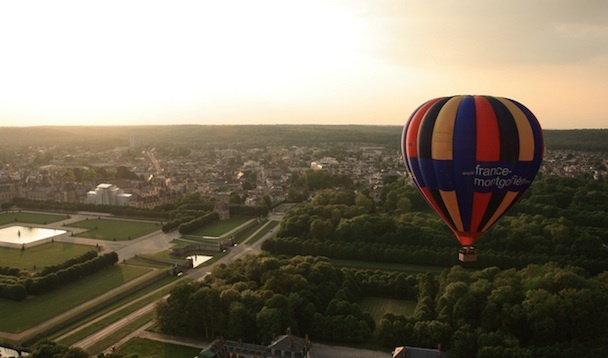 We received 28 very different options, ranging from staying in a refurbished luxury aeroplane, sleeping in a 1-square metre house, to hot air ballooning and wine & cheese tasting classes in Paris. Drive from the Bay Area through the Monterey Bay and onto Big Sur, home of the nation's most pristine coastline and iconic Californian scenery. Spend two nights camping at spots along the coastline with an experienced Big Sur camper who knows all the best trails and beaches. Stay for 2 nights on a 27 ft Ericson Sailboat and take an affordable get-away above the water. It's a perfect place for: one person, a romantic getaway for couples, and a personable gathering with a group of friends. 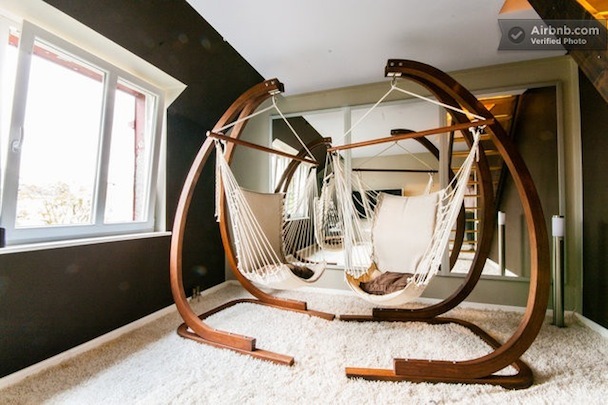 Fly to New York City and stay for 3 nights in a beautiful garden apartment in Brooklyn, NY. 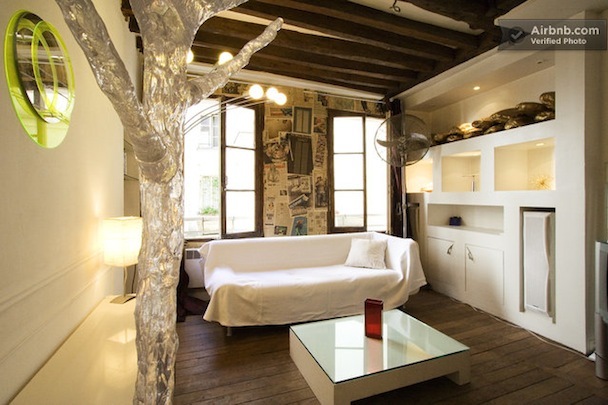 Fly to Paris and spend 5 nights in an amazing apartment located in the Marais, central Paris. Literally hundreds of places around to have a drink and eat, truly the best neighborhood for all your shopping needs! The very quiet, studio apartment consists of a living room, one separate bedroom with a full size bed, bathroom with bathtub / hair drier and a fully equiped kitchen so you can cook at home if you want. Awarded to Flightfox expert “RushmoreAir”. Fly to New York in the evening and land in the morning on Day 2. Spend one night in a hostel on Brighton Beach. At night, you will fly out of New York to Kiev, Ukraine. Arrive in Kiev on Day 4 and stay for 3 nights in a light, cozy apartment close to the metro. 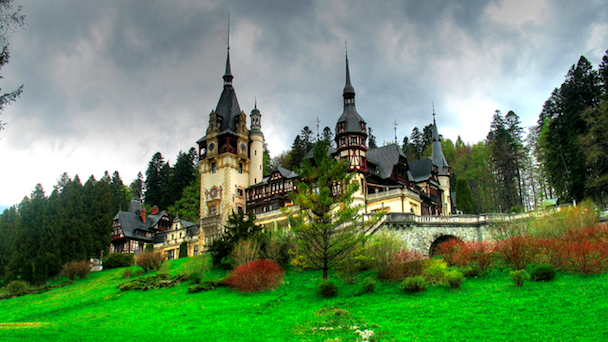 Fly to Bucharest on Day 7 and stay for 3 nights in a mansion at the very center of the city. It still has original features like 4 metres high ceiling, oak stairs, oak parquet and original sandstone. The house, built in 1915, offers travelers modern accommodation with a romantic touch. Your Florentine style bedroom is 15 sqm, it has a queen size bed, a big wardrobe and a desk. Fly to Budapest and spend 3 nights in an apartment next to Saint Stephen Basilica and the magnificent Liberty Square. Fly to Warsaw, Poland and spend one night in a chocolate-themed apartment! Original, artistic, modern, two-level apartment with balcony in the heart of Warsaw. There are two comfortable double beds and two exclusive hammocks. Large windows with a nice view and and walls in colour of chocolate and eggplant shall ensure perfect respite. For your final day before returning to San Francisco, you will take a memorable tour around Warsaw and see the most mystical, bizzare and beautiful blocks of flats. Nat will be your guide through the world of urban prehistory and it's almost psychadelic ugliness. Fly to Dublin, Ireland and spend 3 nights in a private double bedroom hosted by Cassandra and Jordan and their 2 cats. Fly into Amsterdam and stay for 2 nights on a luxury plane! 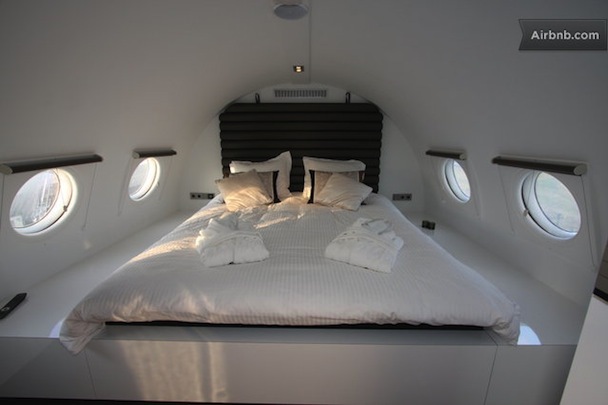 The entire airplane has been converted into a single luxury suite for two guests. This means you have the complete craft at your disposal – including its top-flight facilities, which include a Jacuzzi, infrared sauna, mini bar, 3 flat screen televisions, and free wireless internet. Fly to Berlin and spend two nights relaxing and unwinding while fishing, swimming, diving, kayaking and sunbathing on a raft in the Brandenburg Mecklenburg Lake District. Spend your last night in Berlin at a nice renovated flat, furnished to pop into DDR style! The sunny apartment is located on the fourth floor of an historical building of the former famous "Stalin Allee", Socialist Classicism of street, building a flagship project of East Germany's reconstruction program. You can breathe the air of a DDR Typically apartment. You can walk under the trees boarder That Karl Marx Allee and walk up to Alexander Platz in Few Minutes. 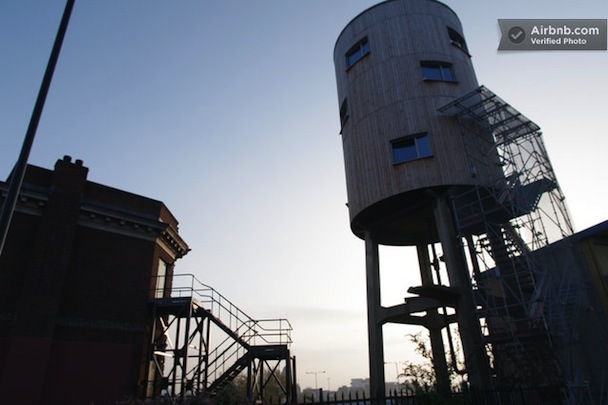 Fly to London and stay for two nights at the converted water tower in North Kensington (as in the winning itinerary). For your remaining two nights, you stay in a tree house enjoying sweeping sea and countryside views. From your lofty position enjoy water views of Falmouth Bay and spectacular sunsets over the fields and orchards of Tregaminion. The beautiful beach of Porthallow is an easy, ten minute walk away. At night, enjoy the peace and quiet of this secluded location and fall asleep to the rustling of leaves in the trees. The area offers a fantastic selection of restaurants and pubs, inspiring craft shops and galleries and a great range of outdoor activities, including coastal walking, sailing, surfing, cycling, golf, diving and horse riding.